I’ve been enjoying thinking about your words on the subject of there being something revealing about the act and result of translation. It makes me think of weeping and other miraculous icons. The particular icon, written faithfully according to the canons, nevertheless is already a unique expression of the truth into which every occasion/expression of that icon is meant to draw us. It manifests something special about what or whom it is meant to reveal, drawing us ever deeper. I do not mean to belabor the point – but it is very much worth asking – how does language carry its meaning if in translation we encounter the same content? If the “inspiration” of Scripture extends beyond the precise original manuscripts and words – then how do the words mean? And if the meaning is something that is manifest through the words and may be manifest through words in translation – then how should we hear and study Scripture? It is precisely at this point of understanding that we may begin to see something of the role of the heart in the study of Scripture. I do not mean by heart the seat of emotions – but rather the deep seat of our very person – an understanding and knowing that is more intuitive than deductive – more perceptive than discursive – not busy or noisy but marked by stillness and quiet. Reason and emotion have their role to play in our lives – but they play their roles best when they have been integrated into the heart and there live in a more integrated manner. Such a heart-reading of Scripture might well be aware of reason and emotion – but will listen to them and beyond them rather than be dominated by them. I recall (profoundly) my first encounter with the Sermon on the Mount. I was probably 15 years old. There was a great deal of religious energy swirling about in my life at the time. My older brother was headed into the military (during the height of the Vietnam War). I had ceased going to Church but had begun to visit an Episcopal Church (my first introduction to liturgy, Church history and a strikingly different world of religious encounter). I picked up and read Matthew 5-7 having read a number of essays by Leo Tolstoy on the subject. The nature of my encounter was something beyond the question of interpretation. I was not (at that point) reading in order to reach conclusions or decisions. I was simply reading (and listening). What I encountered was an icon of Christ (for I hardly know what else to call it). It was an encounter with an image of Christ that had a sense of completion – and a clear presentation of character. Far more apparent than the what of the text was the Who behind the text. It was not unlike the experience many have upon entering an Orthodox Church only to find Jesus (the Christos Pantokrator) looking down to them from the hovering image in the central dome. I saw Christ in that reading and knew Him in a manner I had not known before – and I loved Him. The shape of my Christian life after that reading was not immediately clear – but that it would always be in relation to the One Whom I encountered was a settled thing. Such a story has much within it that is idiosyncratic. It is part of my story. But it is also not unlike the stories of others – particularly if their encounter with Christ is an encounter with a person and not with an idea. The same Christ whom I encountered as a teenager in the words of Matthew’s gospel, continues to make Himself known in the words of Scripture. I am often engaged in the serious study of Scripture – drawing comparisons – digging at words – but nothing serious is accomplished if that study is bereft of encounter. The possibility of such an encounter is a revelation about the nature of language (and of the world as well) and of the possibilities that exist within a world which is iconic in character. God is not only everywhere present and filling all things but also everywhere and at all times making Himself known to us. It is revealing of the human heart and its dysfunctional state that we live in such a world and still fail to know Him. I’m finding this series of posts on icons and iconicity very interesting. Something that keeps cropping up in my mind, though, is how do we prevent ourselves overflowing into a sort of Animism? 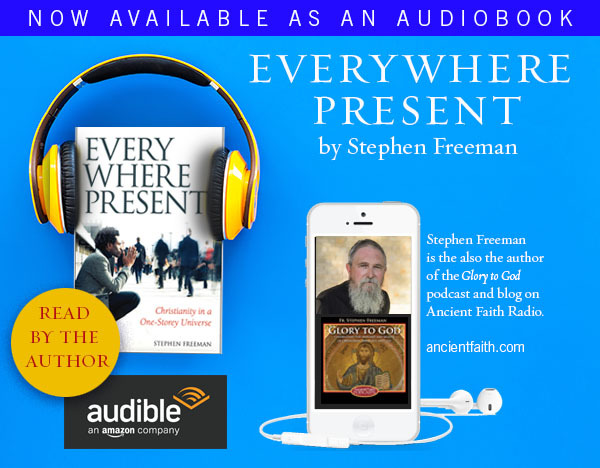 God is “everywhere present and filling all things”, and you elaborated on this in the previous posts, but it seems to me to be a fine line, depending largely on the careful use of language. Marigold, for me it is that icons reveal the person, not just an energy. It is the person of Jesus Christ that speaks to me as a person created in the image and likeness of God. That communication through the icons reveals, confirms and strengthens the reality of that person to person contact–whether the icon is words, picture, sacrament, a building or the people themselves. It is the continuing experience of the revelation of the Incarnate Lord that is the protection against animism. Michael’s comment pretty much says it. The God who is everywhere present is the God made known to us in Jesus Christ – it is intensely personal. Indeed the personal character made known to us in our encounter with God – also changes our perception of creation (I think). The sort of “New Age” approach to these things is to conceive of God as some sort of energy (about like the Force in Star Wars) and look for that. This is projecting God as some sort of aspect of physics – which He is not. When we seek Him we will find Him and not an animistic substitute. I think one reason it might be easy to mistake discussion of God’s omnipresence for Animism is that modern anthropology fails to recognize the human heart as the place of encounter between creation and creator. It is askew in that it is oddly anti-anthropocentric, using sociological generalizations to eliminate true subjectivity. Once we have been removed from our proper subjectivity there is no more direct experience but remote observation. To this removed eye there is no easy way to distinguish between creation and creator. In the heart of the one encountering God everywhere it is very easy to distinguish Him from His creation. If I am driving somewhere I do not mistake the car for my destination. If I describe my journey to you using only words that describe the inside of the car then you might think my destination was the car…. This is where careful language is helpful but not a replacement for actual experience. Even when we allow for subjectivity we must learn to express it not primarily in rational or emotive terms but ‘ecstatically’ in a way that uses these faculties but sees them in the service of the heart/nous rather than the other way around. Our experience of the iconic is that it is primarily neither emotive nor rationalistic in essence. It is an encounter of the created with the uncreated. Just as it is not proper for an Orthodox Priest to celebrate a ‘private mass’ so no icon is full or complete without someone to observe or participate along with it. The organ of perception with which we are to engage the icon (be that icon visual, auditory, tactile or textual) is the heart. If we engage only with the physical senses and/or rationalist thinking we end in Bachanalian emotionalism or cold rationalism. The wild variability of contemporary Christian ‘worship’ is largely due, I think, to this splintered anthropology. I am rambling quite a lot here so I’ll stop. hopefully some of this makes sense? I think another reason it might be easy to mistake discussion of God’s omnipresence for Animism is that modern anthropology fails to recognize the human heart as the place of encounter between creation and creator. It is askew in that it is oddly anti-anthropocentric, using sociological generalizations to eliminate true subjectivity. Once we have been removed from our proper subjectivity there is no more direct experience but only remote observation. To this removed eye there is no easy way to distinguish between creation and creator. In the heart of the one encountering God everywhere it is very easy to distinguish Him from His creation. The wild variability of contemporary Christian ‘worship’ is largely due, I think, to this splintered anthropology. I am rambling here so I’ll stop. hopefully some of this makes sense? The spam thing created the double post. Sorry. Very cogent reflection – though. Your thoughts push me further as well. I much appreciate such comments. Victor, your approach also hits on the key–the modern tendancy to replace real human personhood with either humanity as a mass entity or as splintered individuals. Part of the endemic dualism that paradoxically reduces thought to a choice of monads I think. In this case it is a remote God with whom we share nothing or the animistic, non-personal force that is everything. No room for an inter-relationship between God and His creation that yet perserves the huge distinction between Creator and creation. “Creation is not a person, but unless it is constituted and sustained in and through personhood, unless it is permeated by a personal presence and “hypostasized” in it, it cannot be simultaneously communion and otherness. What the scientist sees today as a relational, indeterminate, ‘chaotic’ universe does not call simply for a creator God, but for a God who is so personal as to be capable of self modification to the point of lending his very ‘mode of being’ to constitute and sustain the being of creation. Because God maintains his otherness or essence, while infusing the world with his mode of being through the Logos, the problems of pantheism and panentheism are avoided. Because God is constituted by otherness, He can give the grace of otherness to creation and otherness to humanity. I feel like I am just beginning to understand this having spent my life in a tradition that viewed the Trinity as moving from one to three (a focus on subtance or nature that prevented me from actually relating to God as a person), rather than ‘One’ of the ‘Many’ (a focus on otherness in communion). What of the profound things that infants receive from their parents — from the mother so intimately and from the father so present and supporting of their little one’s life? These personal encounters impress a reality upon infants and orient their being. And most parents know the weight of this unbearable “burden” and unspeakable joy — parenting is the epitome of responsibility. Yet without any translated words the child knows that what they hear, with sights and hugs and kisses are love, not just love, but love given to them and received by them. Many of us, by God’s grace I believe, are allowed to return to this state in full age to, hopefully, know again the loves that need not words. Ironically the message needs reinforcing over and again because our enemy is hell-bent to distort how we perceive and receive God. I’m re-reading St. Silouan’s biography where, in the introduction, the author briefly describes a personal encounter with Christ that summed up and “satisfied” decades of accumulated hunger in the dear man’s soul. And the “food” he received in that one moment sustained him for more years. What he heard, or received, was deeper than discourse: God loved him. I first read Zizioulas when I was in grad school at Duke. I was doing a Doctoral course and he was the subject of my term paper. I don’t think I’ve ever read as carefully nor with greater difficulty. The day the “coin” dropped is an unforgettable moment for me. It was perhaps the most radical moment of insight I’ve ever known. 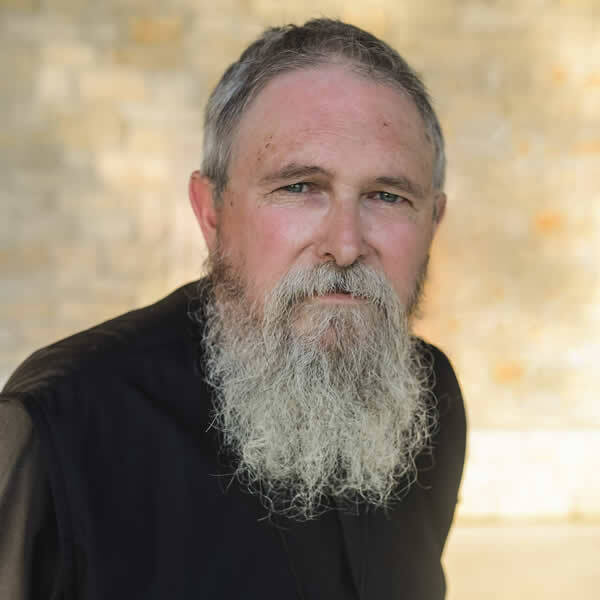 I think I was in a daze for the better part of a week as I began to see what he meant by Being as Communion and the implications of some of St. Basil’s work that he uses. His Communion and Otherness (more recent) is probably just as exquisite. The quote you offer is rich beyond description. I wonder if it is possible to “translate” icons, as you can translate scripture. Since they are both two kind of icons. Yes it is possible. In a sense, every copy of an icon is a “translation” since it is not a print (if it is a painted icon). There are subtle differences between each icon because they are not “duplicates.” There are also “stylistic” differences between different “schools” of icons, such as the “Novgorod School” or the “Cretan School,” etc. This may involve use of different colors, etc. Yes it is possible. In a sense, every copy of an icon is a “translation” since it is not a print (if it is a painted icon). There are subtle differences between each icon because they are not “duplicates.” There are also “stylistic” differences between different “schools” of icons,…. It is so true, here is a link below of a totally different style. Now there are icons from very early on not listed in this web page. I am also in the midst of my doctoral dissertation and hoping to use Zizioulas’ conceptions of person and otherness as part of my research. Your memory of careful and difficult reading is definitely my current journey. I think I read every passage at least three times. It is definitely worthwhile reading, though, and the truth he shares seems to descend directly from the mind to the heart. Since I became orthodox, I’ve been amazed at how everything I always wanted to believe about God and my relationship with others and creation is really how things are intended to be! I’ve been mucking about with Maximus’ Ambigua using two translations, one in Italian, a more literal translation the other in French which according to the Italian translator is rather a paraphrase. While I’m inclined to agree, I believe that whatever it is, that the French is more evocative of what Maximus is trying to express. It is interesting, isn’t it, that sometimes a “literal” translation fails to actually capture what is intended in the original. There are many conservative protestants who think that the proper process with Scripture is to begin with Scripture and then move towards theology, failing thereby to understand that the theology precedes the text many times and also failing to notice that their theology is a priori. In St. Irenaeus, this a priori theology is acknowledge in what he calls the Apostolic Hypothesis (Fr. John Behr has done good work with this). Good luck with the Ambigua. As I went to parochial school for many years, I of course encountered the Sermon when I was very young, but I never really *heard* it until I began seriously considering Christ several years ago. Today, those few pages from Matthew’s gospel are indescribably dear to my soul. I try to read the Sermon every night. The words never cease to surprise, amaze, and humble me. They kindle a flame of love in my breast. I recall an evangelical once told me that the Sermon was only relevant until the crucifixion — that statement was like a dagger. How can you not tremble with reverent joy at the Beatitudes, which resound with love and holiness?